Nobody ever wants to be sick, disabled or incapacitated. Nobody ever asks to become a caregiver either. Nonetheless, 44 million Americans currently find themselves in the role of unpaid caregiver, which affects almost one out of every four households in the US. 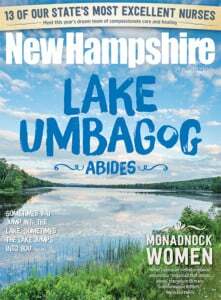 More than 170,000 Granite Staters are providing informal care to parents, spouses, siblings or children of any age with medical illnesses, disabilities, and/or behavioral or mental health conditions, and/or dementia or Alzheimer’s disease, according to statistics from the state of New Hampshire. When tasked with caring for a loved one with the weight of 24/7 responsibility, they take on a myriad of tough and tasking challenges every day. It’s never easy. “It’s hard. It has the potential to be insane,” says the former chair of the state’s Republican Party and a communications consultant, who is providing loving and attentive care for a mother with Alzheimer’s disease and a father recently diagnosed with Parkinson’s disease. Like many caregivers, 60 percent of whom are women, Horn is a member of what is commonly called the “Sandwich Generation,” which refers to those caring for inter-generational family members simultaneously. This devoted daughter is also a wife and mother with a successful and demanding career, but when the phone rings in the middle of the night, as it often does, Horn immediately jumps in the car and drives four hours to her parents’ home in New York. “All those things are a pull. I have a husband who deserves to have my company and my attention. My children are all adults now, but my youngest is in college and young adults are not done with you yet. I have a career that requires time and attention. All those things are a pull for sure, but at the same time they are what makes it possible to do it,” explains Horn, who recently needed to stay with her parents for a six-week stretch. “If I didn’t have the love and the 100 percent support from my husband saying every time I get that call, ‘Yes. Just go. I’ll take care of everything here at home,’ I couldn’t do it. My children are here to give me love and support, and they tell me they love me and understand I’ve got to be there. “Those things become a support system for me. I’m lucky because I can take my work with me and do it remotely. If I had to be in an office eight hours per day for my job, it would be a whole different story. I don’t know what we would do. I don’t know what that would look like for us,” she continues. Those who have walked this path know the picture is sometimes bleak and gloomy. 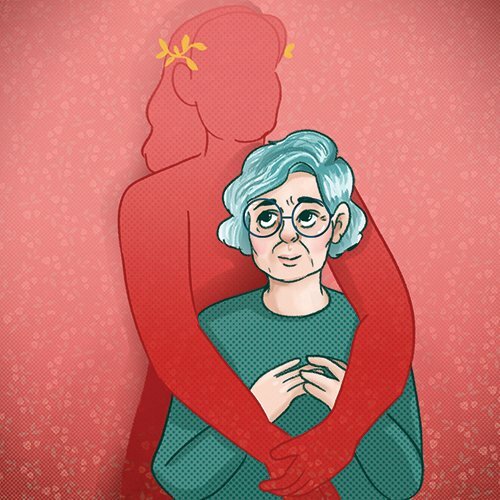 Caregiving, which requires a bottomless supply of understanding and an abundance of patience, is life-disrupting, frustrating, painful, heart-wrenching, exhausting, frightening and depressing. It can also be embarrassing and uncomfortable while one’s loved one tries to maintain dignity in the face of increasing difficulties with bodily functions. Add in the hassles of dealing with physicians, nurses, therapists, social workers and hospitals, scheduling appointments, filling prescriptions, running errands and doing the housework. Don’t overlook the escalating mountains of paperwork and bills to be dealt with and the inevitable battles with insurance companies and providers. Being a caregiver is a full-time, overwhelming job, and it’s draining emotionally, mentally, physically and often financially. Trying to manage it all alone while providing affectionate support to a loved one, especially if one has to perform a “regular” job at optimum level while possibly also taking care of a pet, is crushing. Experts say single caregivers burn out quickly and usually experience social isolation just when they need friends and family more than ever. The results are damaging and create a host of problems for the caregiver, including a greater likelihood of getting seriously ill or developing dementia themselves. “My heart really goes out to people who have to do it alone. I don’t how you can do it alone,” says Horn. Quite simply, you can’t hold someone else together when you’re breaking apart. The main thing people should know, says Horn, is that you can’t do it alone and you shouldn’t try to. The second most important thing, she says, is to remember that you’re caring for someone you love. It’s been said that love is the best medicine. In the face of all the difficulties, pain and related stress, Horn remains grateful for what the fates threw her way. Nonetheless, caregivers commonly feel guilty that no matter how much they do and how hard they try, it isn’t enough. “We have to learn not to carry that with us,” she says. “If caregivers don’t have anyone there to tell them they’re doing a wonderful, loving, generous thing, and they are a wonderful person for doing it, I hope they hear that from others and when they read this,” she says.